Desperate and fulfilled: these are the only two adjectives to describe how I feel right now. I am fulfilled because God has recently made Himself known to me in ways that are seemingly abnormal. I am desperate because I can’t get enough. It’s a crazy combination. The Psalmist is right: “Taste and see that the LORD is good…” (Psalm 34:8). Once you get a taste of His goodness, nothing else satisfies your emptiness. You’re always full; yet also, you’re always hungry. What I’ve just described as being abnormal should actually be normal for Christians. Following Jesus involves struggle. There’s no way around it. That’s how we grow; it’s the only path to fulfillment. God wants us to experience more, but we have to keep dying in order to have it. Dying to self includes daily mêlée. That’s why sanctification is so important. Following the Holy Spirit is the only way through the confusion, turbulence, and strife pressing in on our lives. God walks us right into the middle of the devil’s playground, sets up a table, and dines with us. It’s what He calls preparing a table in the presence of our enemies (Psalm 23). Too many Christians live in arrested development. They’re just stuck in a place. They live like beggars instead of heirs: like rejected outcasts instead of much-loved children. I know because I’ve begged way too much over the years. In the midst of our pity parties, Jesus walks by and reminds us that we don’t have to live like outsiders. We have a seat at the King’s table. The Apostle Paul speaks of offering ourselves as living sacrifices. He calls this our “reasonable service,” or the only way to properly worship. We don’t naturally think of laying down our lives as a reasonable thing to do. So we fight. Sometimes we fight and don’t even realize why we’re fighting. 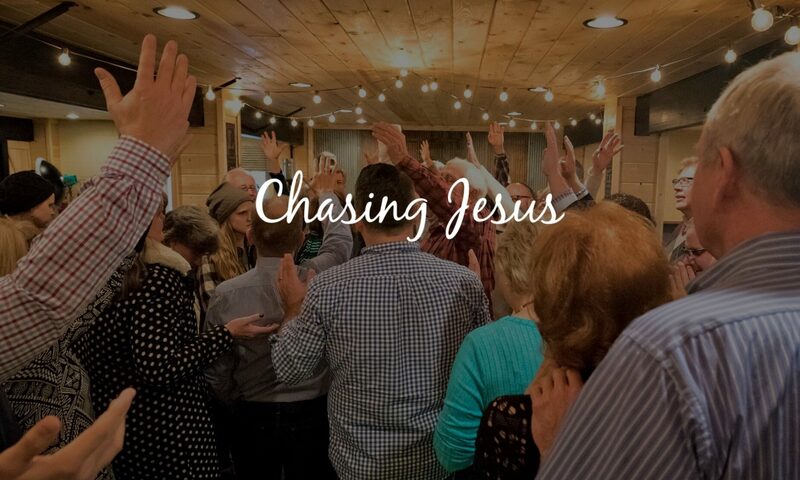 We think we’re fighting sickness, finances, our spouse, our employer, or whatever else, but the reality is, we’re usually wrestling with Jesus. Entire sanctification includes daily death. God’s always trying to get us to die to some part of ourselves that’s striving to get a foot on the throne: some part of our flesh that’s rising up trying to usurp the Lordship of Jesus. Living Sacrifices: that’s the life we’re called to. Living: the part of us that God created to abide in Him. Sacrifice: death to self. The problem with living sacrifices is that they have the tendency to crawl back off the altar. The call of Christ is abundant life, but you can’t have it unless you die. And no one can die to you for you. You’re the only one that can die to you. Death to self means being filled with the Holy Spirit is such a way that there’s no room for anything else: no anxiety, no need for control, no expectations, no agendas, no offence, no anger, no bitterness, no grudges, no record of wrongs, no striving to climb a ladder. Nothing but Jesus: Him abiding and me and me abiding in Him. Abiding always takes us to new places. As we walk with Jesus we will find ourselves in one of three places: being, becoming, or doing. In the flesh we often get stuck in the “doing” phase. Just like Martha, we’re so busy doing that we never take time to be, and if we never take time to be, we will never become more of what Jesus wants us to become (Luke 10). When your life consists primarily of doing, abiding is virtually impossible. Arriving at new places with Jesus means going through valleys, over mountains, across deserts, and into storms. The journey is never easy. If it were easy everybody would do it. Think about the One we’ve decided to follow; His journey led Him to a cross. I’ve never read of anyone following Him whose life was easy. In fact, Jesus never said it would be easy, He only promised it would be worth it. As we journey with Him, we can trust that He is always with us. He never leaves us (Hebrews 13:5). He’s a friend that sticks closer than a brother (Proverbs 18:24). We’re all “little Jacobs” at times: heel-grabbers, supplanters, deceivers. Always trying to overthrow the opposition. Every follower of Jesus needs a Peniel experience. In fact, those serious about followership will likely spend a lot of time in Peniel (Genesis 32). I’ve had many Peniel moments: places where I’ve wrestled with God to the point of walking with a limp. Places where I’ve been so overwhelmed with God’s presence that I’ve never gotten over it. There have been times when I’ve arrived in Peniel and didn’t even know how I got there. The wrestling matches are hard. In the midst of the struggle stuff surfaces that I didn’t even know existed. God wrestles me into submission, yet I somehow walk away the victor. Isn’t that crazy? Typically when we think of a battle, the one submitting is the one who’s been defeated. Yet, when we wrestle with Jesus and submit, we win. If I may give you 20 years worth of advice: embrace the struggle. Trust Jesus and walk in faith. Don’t be oppressed by the invisible walls created by anxiety, insecurity, and even your own ambition. Living sacrifices get to die on the altar, dine with Jesus on the battlefield, and lift their hands in victory even when they’re in the valley. What an amazing way to live!